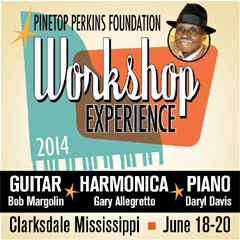 to attend the Pinetop Perkins Foundation's Fifth Annual Master Class Workshops this year in Clarksdale, Mississippi. This includes two youth who were given the Ann Rabson Memorial Scholarship: Logan Layman from Williamsburg, Virginia was given the piano award, while the guitar award went to Mike Butler from Union Beach, New Jersey. The Pinetop Perkins Foundation awarded an additional 21 scholarships to young musicians attending piano, harmonica and guitar workshops. The scholarship winners this year are an impressive group of accomplished and talented young musicians. Bob Margolin, Austin Young and intern Christone Kingfish Ingram cover the guitar workshop. The harmonica workshop is led by Gary Allegretto with David Berntson assisting, and Daryl Davis and Clay Swafford lead the piano workshop. They will be joined by a number of adult workshop participants for the three-day event. The workshops begin on June 17 with a meet-and-greet dinner at Hopson Commissary. It includes a reception Thursday evening at the Delta Blues Museum and concludes with a gala performance at Ground Zero on Friday evening, June 20. Although the scholarships are closed, a limited number of slots are still available in the harmonica and piano workshops. The guitar workshop is filled up for this year. Logan Layman is part of a sibling duo called "In Layman Terms" hailing from Williamsburg, Virginia where Logan is an eight grader at Toano Middle School. 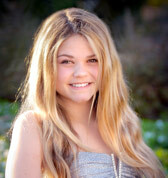 Logan and her brother Cole have a passion for the blues and write original, foot stomping music. They have been making music together for as long as they can remember. 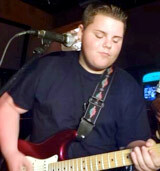 Logan was named "Blues Kid of the Year" in 2013. She is known as the little girl with the BIG voice. Logan’s favorite female vocalist is Shemekia Copeland. Further information and a complete schedule of events are available on the Pinetop Perkins Foundation website at www.pinetopperkinsfoundation.org. For media inquiries, contact Amanda Sweet, Bucklesweet Media 347-564-3371 or Amanda@bucklesweetmedia.com. Copyright © 2014 Pinetop Perkins Foundation, All rights reserved.